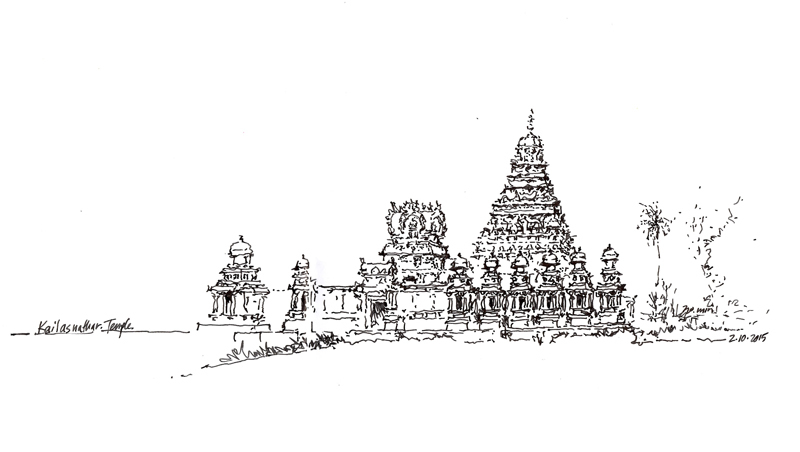 At the end of my recent trip to India, Xavier Benedict and I drove down from Chennai to Kanchipuram, where we visited several Hindu temple sites. 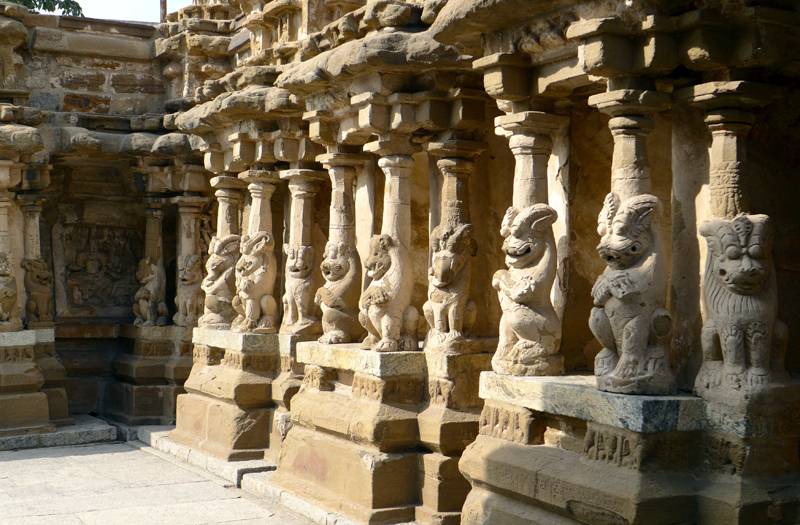 The most impressive of these was Kailasanathar Temple, the 7th-century Pallava shrine dedicated to the god Shiva. The sandstone structure has weathered over the past 1200 years but is being restored and retains its tiered, sculptural elegance. While one can read descriptions, study drawings, and pore over photographs of architecture, nothing can compare with actually visiting and experiencing a place. The sights, sounds (or lack thereof), and sense of scale immediately become apparent upon entering. There is no need for any intermediary material. 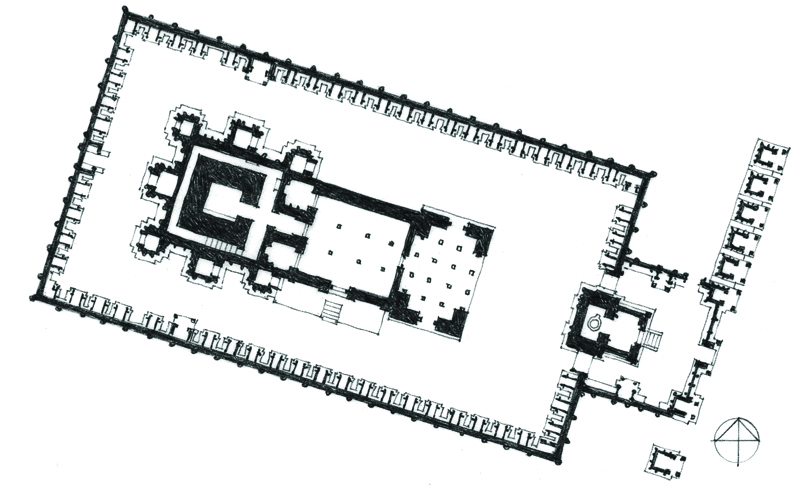 At the conceptual level, however, plans and sections do offer views that can explain the formal layout of a place. It is Interesting to note the disparity that often exists between reality and how it may be represented. For example, after my visit, I noticed that the plan of Kailasnathar that I had drawn a few years ago is missing columns on the west entry porch. While I could appreciate the formal order of the temple compound and the artistic expression of the stone carvings, I also realized that not fully understanding the Hindu iconography prevented me from truly appreciating what I was experiencing. This entry was posted in Culture, Drawing, Seeing, Travel, Urban Sketchers by FC_admin. Bookmark the permalink.